So what is shareholder protection insurance cover? It was Benjamin Franklin who said: “In this world nothing can be said to be certain, except death and taxes”. And he might well have mentioned “insurance”, because there are few among us who don’t have insurance of some kind. House insurance, car insurance, medical insurance – these are all fairly commonplace. Life cover is inextricably linked to death, and many of us in our personal setting have life cover to ensure that, if the worse happens, our loved ones are looked after. But what about protection for a business? If you own a business, or are a shareholder, and you die (or a fellow shareholder dies) what protection have you, or should you, put in place? We’re talking here about shareholder protection insurance. It doesn’t matter whether you’re a retailer, a manufacturer, or in IT; whatever the sector, if you have a business you need to protect yourself, your loved ones and your employees and fellow stakeholders. It’s really as it sounds: insurance put in place which kicks in, in the event of a shareholder’s death. Its aim is not just to ease the potential financial difficulties such a death can cause, but to pre-empt what happens to the shares – in the same way as having a will avoids potential difficulties that arise should a person die intestate. In practical terms, legal documents are compiled detailing how the shares left by the deceased are to be managed. Either the shareholders or the company can take out insurance on the lives of each of the shareholders. Pay-outs from the policy can be used to buy the deceased’s shares. What are the benefits of shareholder protection insurance? Peace of mind – fellow shareholders know that having such shareholder protection insurance means the future of the business is safe, should one of them pass away. Financial compensation for the deceased’s family, in the form of a pay-out from the insurance in exchange for the shares. The policy will ensure the shares are bought at a fair price, and quickly, which should mitigate any financial difficulties a family may be suffering following their loved one’s death. Critical illness or disability, as well as death, can be included in shareholder protection insurance. Indeed, statistically it is more likely that someone will succumb to a critical illness than die. Polices can be put in place to ensure the ill shareholder can sell his or her shares to fellow shareholders. Depending on your type of business, one of three forms of shareholder protection insurance would suit. First, there is a ‘life of another’ policy, most suitable where there are only two shareholders and where each has a policy on the life of his/her fellow shareholder. The policy is funded by the shareholders’ personal income, to avoid tax and National Insurance. 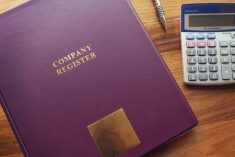 In the event of death, the surviving shareholder uses the insurance money to buy the shares from the family or estate then becomes the sole owner of the business. ‘Company share purchase’ entails the business itself buying the deceased shareholder’s shares, because the company has taken out and funded a policy on each of the shareholders, with the value of each matching the value of their proportion of shares. Finally, ‘own life’ policy entails each shareholder taking out their own policy which is held under business trust, equalling the value of their shares. It can be until their retirement or for a fixed term. If a shareholder dies, the remaining shareholders can use funds from policy pay-outs to buy the deceased’s shares. This trio of options really covers all bases for business, right from micro companies up to large corporates. For a shareholder committed to the success and longevity of the company – and who wouldn’t want to see it die with him or her – shareholder protection insurance is a must. If you have any queries or concerns relating to protection for a business, please get in touch with the team here at Hartsfield.